As strong as an ox! 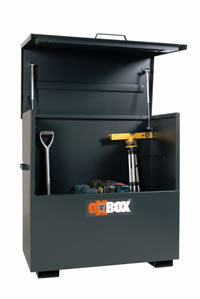 Armorgard have once again responded to customer demand and introduced a further range of siteboxes to their portfolio – the OxBox™! Being well known as market leaders for quality, service and value for money, this new range compliments the popular TuffBank and StrongBank ranges but is more suited for those with a lower budget. 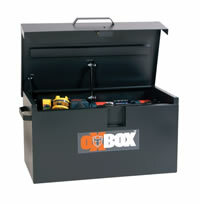 This now enables us to offer our customers ‘a box for every budget’! Boasting many same features, including 5 lever deadlocks, heavy duty brass keys, continuous hinge, gas springs and durable paint finish, the OxBox has been designed and manufactured using the latest technology in machinery, to enable us to create strength by folding material, rather than just relying on material thickness. 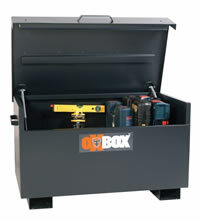 The OxBox range of tool vaults is available in 4 popular sizes, and large stocks are held at Armorgard's factory in Fareham, Hants. Having been tested and proven in arduous on-site conditions for the past 10 months, Armorgard are pleased to announce that a revolutionary new site safe range has been born! 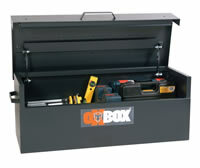 For more details of the OxBox range please contact us.